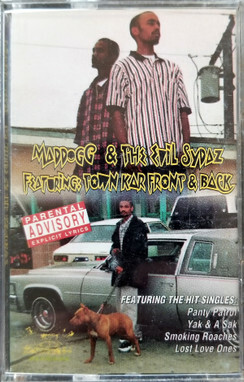 I Remember The Evilsydaz & Maddogg From Hammers Death Row Album. Makes Me Think It Is Connected To Death Row Records. The Album Is Ultra Rare. Even Google Cant Find Anything Besides That Discogs Link. Who are The Evil Sydaz? Are Mr. Danger & Mr. Nice from The Evil Sydaz? i think ure talking about some chicano dudes...not? Nah, I mean the guys from "Can U Feel It"
One of them says "Mr. Danger be my name"